In principle, off-the-grid architecture involves creating a built environment that is not connected to the established infrastructure of reticulated services. This could be for many reasons, but it often conjures up an image of a building in a remote location, which can also be an extreme environment. Each project is unique and requires its own set of solutions. However, we have established a body of knowledge and expertise that will help you meet the needs of both the building users and building owners, providing good long-term outcomes for both. With building and energy technologies changing rapidly, it is a matter of selecting what is most appropriate for your specific project. We work from first principles to establish the fundamentals required to make your project succeed, then develop a fit-for-purpose solution that meets the occupants' and building owners' needs today and into the future. Each project is unique and requires its own set of solutions. We work from first principles to establish the fundamentals. Then utilising our body of knowledge and experience ensures that we develop your project to be fit for purpose. This is especially true where building and energy technologies are changing rapidly and it is a matter of selecting what is most appropriate for you. Bringing all these aspects together means that we create a built environment that meets the needs of both building owners and users, as well as being robust and sustainable for the long term. Working to maintain and enhance the existing Scott Base over a number of years for Antarctica New Zealand provides an entirely new set of design challenges and considerations. Our experiences in addressing thermal issues, modular systems, logistics, and buildability will all help to inform our design solutions for your project. 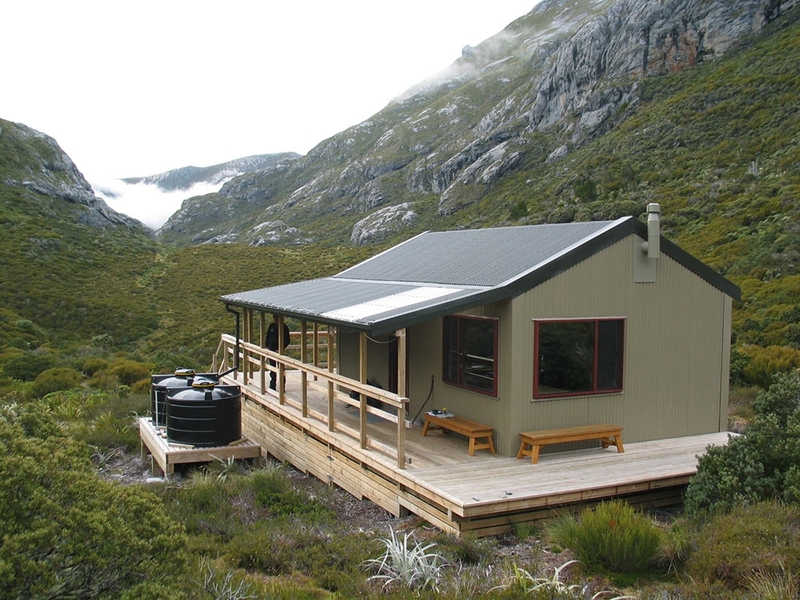 Having designed and completed over 50 significant huts for the Department of Conservation during the last 25 years, we have experience in the successful creation of fully off-the-grid buildings – from coastal to alpine areas, and from small buildings to major complexes on New Zealand’s Great Walks. This equips us with a unique body of knowledge in dealing with the extremes of the New Zealand climate and topography. We can readily apply this expertise to all manner of buildings, whether remote or on the urban fringe. Technologies for energy generation and storage, waste disposal, and limiting environmental impacts have been tried and tested by our team, and as such are integral to our design process when working with you.